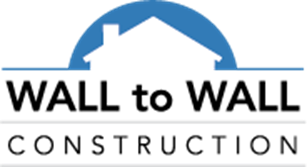 Wall To Wall Construction | Wall to Wall has received the title of “Tenured Member” in recognition of holding the CertainTeed ShingleMaster credential for ten years. Congratulations! Wall to Wall has received the title of “Tenured Member” in recognition of holding the CertainTeed ShingleMaster credential for ten years. Congratulations! Axiom Roofing & Siding is now operating under the name of Wall to Wall... Don’t Be an Unlicensed Contractor’s Next Victim!